This wonderful fabric gets rave reviews from customers and has been a long-time staple on our website! 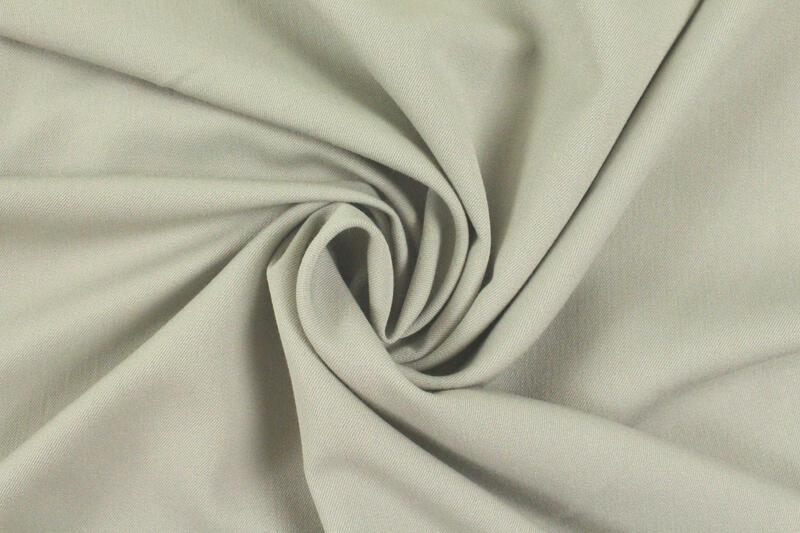 RPL is a rayon/polyester/spandex blend stretch woven gabardine that is a wonderful, easy-care, pants fabric. These are medium weight, so they will work for any season! 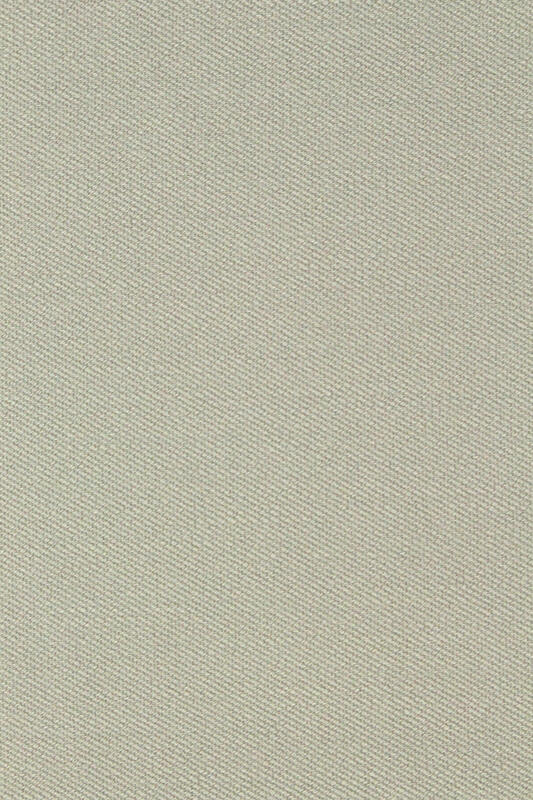 The color of this one is a light gray/stone color (PANTONE 16-0000 but a shade lighter). 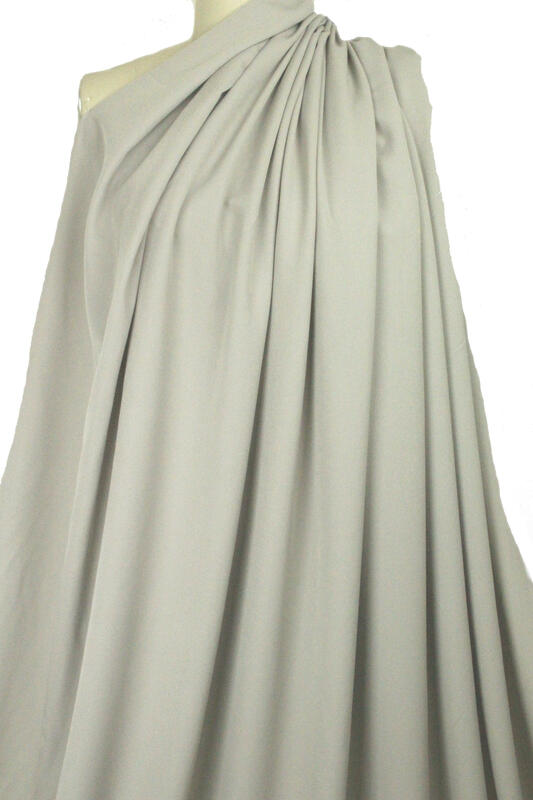 Just 10% stretch in the width only, with wonderful drape. 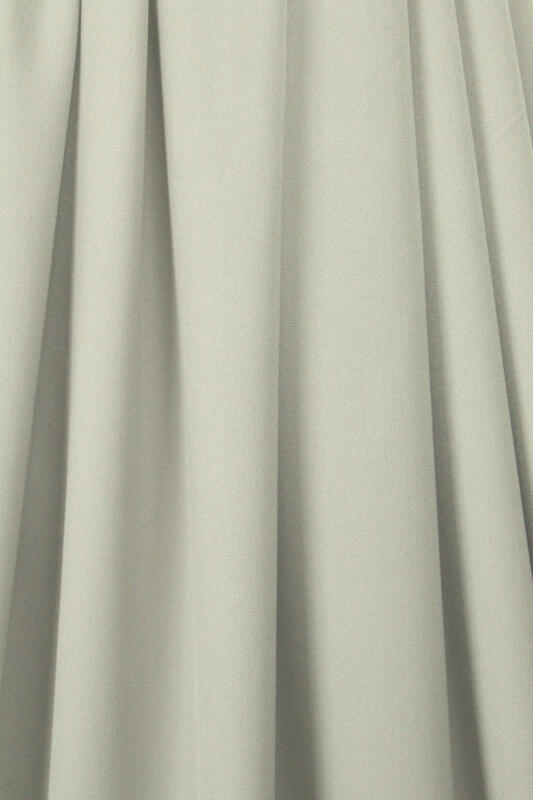 Perfect for tailored or drapey styles, slacks, skirt, jacket, suit. Easy care (but always test first! )..check Shannon's guide for RPL.